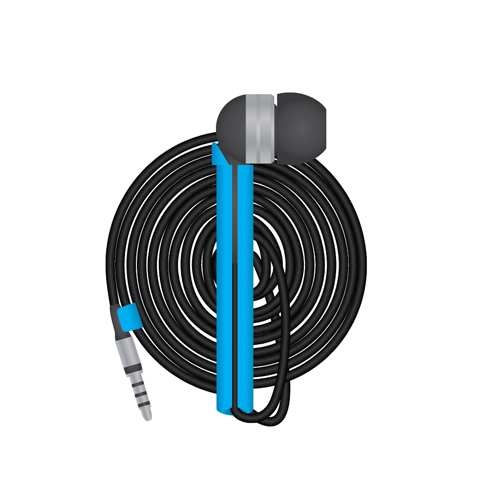 Bundle Buds - Intuitive, simple, tangle-free ear buds. Bundle Buds are engineered to preform and built to last. With sound quality better than anything else in this price point your won't be disappointed. Light and durable, the buds feel great when riding on the train or on your daily run. Quality is the name of the game and a quality feeling cord is important. The Bundle Buds cord is not some cheap wire... its hard to even make it kink! Check out the specs on the product pages to see more details. For ideal performance, wrap the cord in the direction of the buds. This will make it easier when unwrapping. Wrap too loosely, it's likely that the cord will unravel. Wrap too tight, and the cord could fray at the base or near the microphone over time. To complete the bundle, be sure to attach the clasp securely to another point on the cord.